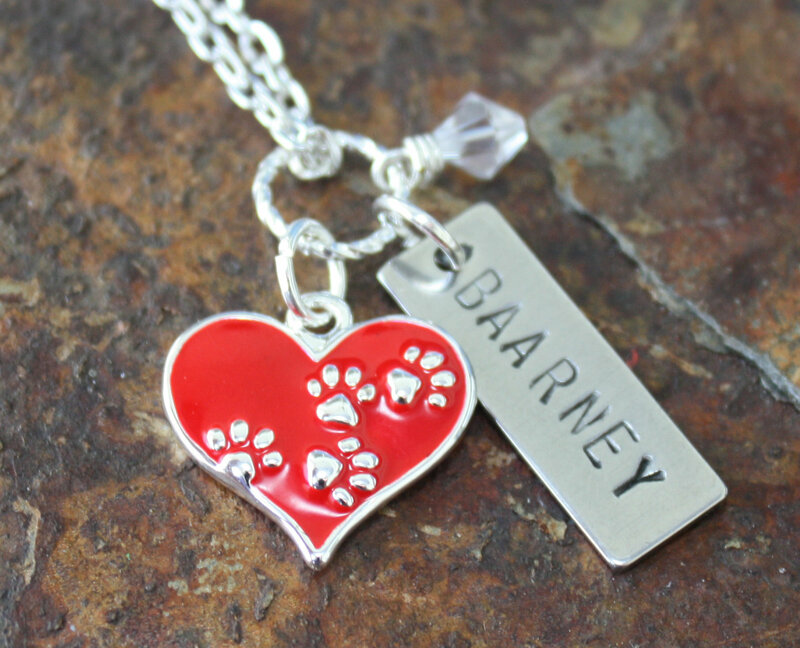 Beautiful red heart with paws and a custom stamped charm with your dog’s name on it. Accented by a Swarovski crystal. 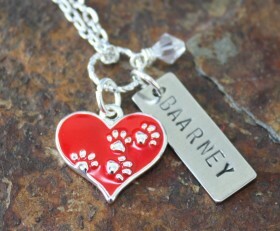 The heart charm is silver on the back with paws. Put the name you want stamped on the charm in the Order Notes under Shipping. Categories: Animals, Dog Lovers Jewelry, Dog Necklaces, Valentines Day.